NOTE - Below are links from my old soundclips page from a previous version of this website. These articles have not been updated in a while and some of the links no longer work, but they may be of interest to some people. MOTHER SOLO - An example of The Wall era Big Muff tone with gear and settings. MODULATION - FLAGER AND CHORUS CLIPS- David Gilmour's modulated "wet" Pink floyd Big Muff sound.  Soundclips of the Electic Mistress, Deluxe Electric Mistress, Boss CE-2 Chorus, and Boss CE-5 Chorus Ensemble, featuring the first Comfortably Numb solo from The Wall. ON THE TURNING AWAY SOLO - Here is my attempt at this amazing David Gilmour solo, from Pink Floyd's A Momentary Lapse of Reason album. I'm going for more of the Delicate Sound of Thunder live tone here. SHINE ON YOU CRAZY DIAMOND 1-V SOLOS - Here are clips using various pedals in an attempt to get something close to the different tones David Gilmour has used over the years in this Pink Floyd masterpiece. David has used the Colorsound Overdriver, Chandler Tube Driver, Boss CS-2, MXR Dynacomp, B.K. Butler Tube Driver, Ram's Head Big Muff, and the Pete Cornish G-2 for these solos throughout the years. SORROW INTRO AND SOLO - Here are some clips of my attempt at David Gilmour's live guitar tone for Pink Floyd's Sorrow, from A Momentray Lapse of Reason. I was not going for any particular performance, just a generic late 1980s to mid 1990s tone using a variety of Big Muffs and similar pedals. ...... ...... . .... .
BIG MUFF Pi DEMO LIBRARY - Here are clips of every Big Muff Pi pedal ever made for comparison, from vintage to modern. EMG-DG20 PICKUPS VS VINTAGE STYLE STRAT PICKUPS - Comparison of the David Gilmour EMG pickup set vs the Seymour Duncan SSL-5 bridge pickup and Fender Custom Shop '69 neck pickup. SEYMOUR DUNCAN SSL-5 VS SCN PICKUPS - These clips compare the Seymour Duncan SSL-5 pickup to a Fender Samarium Cobalt Noiseless pickup in a Fender strat, bridge position. If you are having RF noise problems with your strat, even after shielding and using good cables, try using these Bill Lawrence designed SCN noiseless pickups. They are QUIET. The tone sounds very similar to CS' 69 or Fat 50's pups to my ear. Great for the middle and necks pups. The SSL-5 sounds better for Gilmour tone in the bridge position than the SCNs, but the SCNs are not bad! Give them a listen. I Also used two different muff distortions in the comparison, an original Sovtek green Big Muff Pi and a noisier Skreddy Pedals Pink Flesh muff clone. Effects in chain are - Keeley compressor > Muff > Colorsound Overdriver (as boost only) > TC Electronic ND1 Nova delay (420ms) > and Boss CE5 chorus, into a clean '65 Fender Twin re-issue. Backing tracks are from Gilmourish.com. Note: Some vintage Electro Harmonix pedals have the knobs (potentiometers) mounted in a strange way, so they do not all start at zero from the same place. This makes it difficult to tell someone what setting I use for a praticular tone. Giving standard percentage or o'clock settings may be confusing. 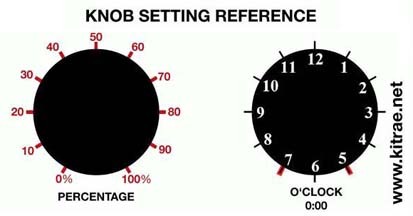 Below is a diagram showing how to do this by looking at the knob from its "true zero" point and this is how I give my settings.